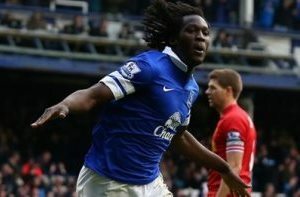 A late Daniel Sturridge goal earned Liverpool a dramatic draw in a pulsating game against rivals Everton. A far post Philippe Coutinho strike quickly put the Reds ahead but Kevin Mirallas poked in an equaliser. A Luis Suarez free-kick restored Liverpool’s lead before team-mate Joe Allen’s glaring miss from eight yards. The miss was punished when Lukaku slotted in from 12 yards and then powerfully headed in a corner, only for Sturridge to head in late on.